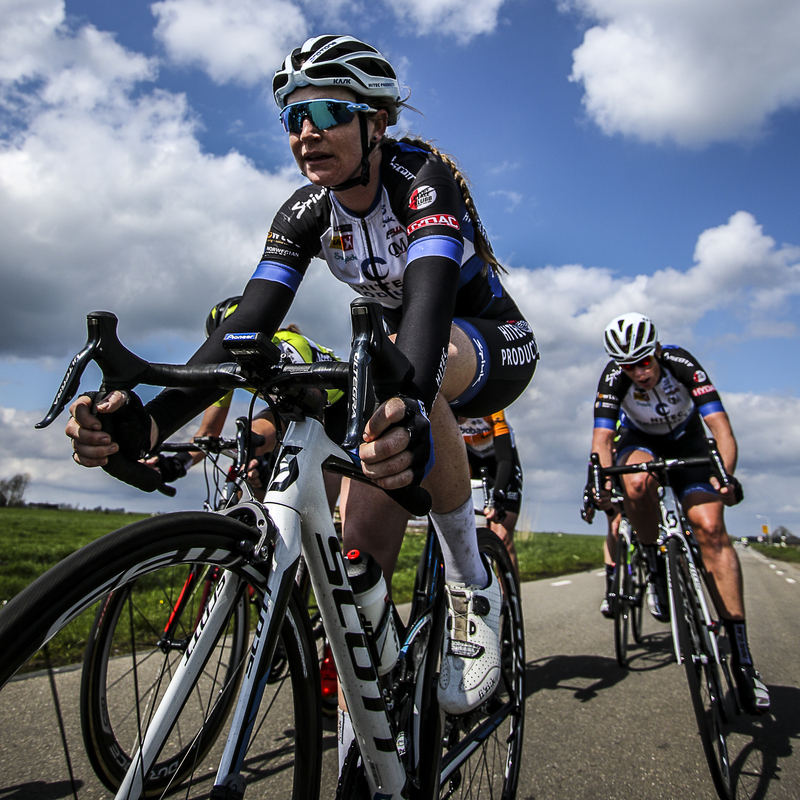 Saturday our girls lined up to defend last year’s victory at Omloop van de IJsseldelta. Already early the peloton split up because of the strong winds. Simona was unlucky and got caught in a crash, in the front group we had Lauren and Kirsten. From the front Anna van der Breggen (RaboLiv) attacked together with Vera Koedooder (Parkhotel). Lauren went after but the duo turned up the power and was able to hold off to the finish with Breggen taking the win ahead of Koedooder. In the sprint behind Lauren finished to a 4th and Kirsten just behind on 5th. Next day was another chance at the Ronde van Gelderland. Already early in the race a breakaway of three formed including Janicke. Going through the hills the peloton turned up the speed and caught the breakaway. 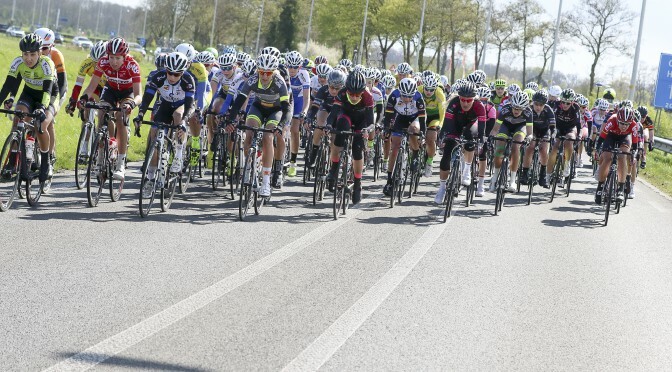 New attacks came and Charlotte got into the next breakaway, but they where not allowed to stay of the front to long. Eventually the peloton split up in the cross tailwind where we had Kirsten and Simona in the front group. Three riders broke clear from the front and held to the finish where Kasya Niewiadoma (RaboLiv) won ahead of Natalie Van Gogh (Parkhotel) and Lieselot Decroix (Lotto Soudal).